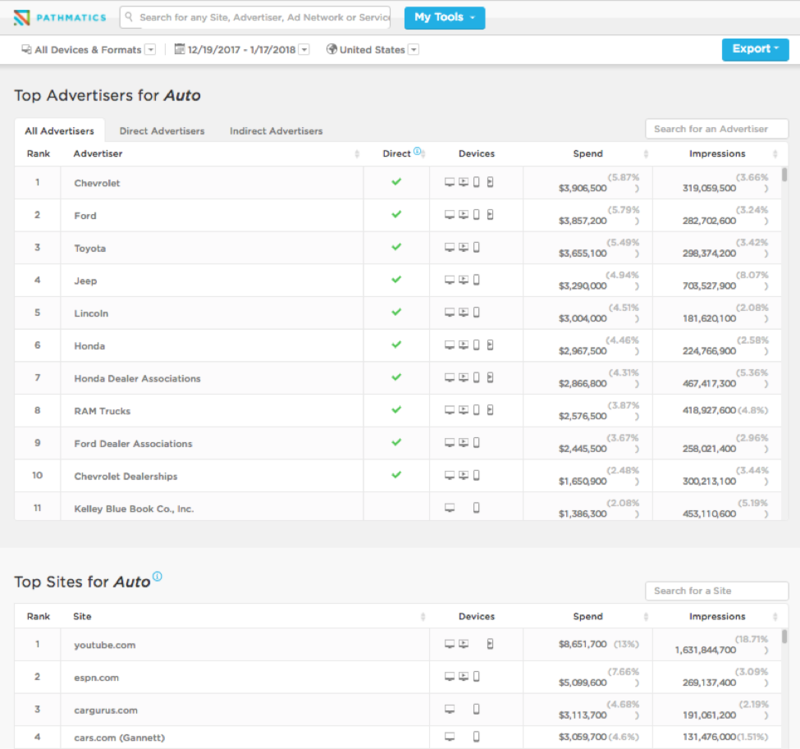 Ad intelligence tools have the potential to give you data on ad spend for thousands of brands. But do you really need more data—or do you need the right data? We're guessing it's the second option. After all, more data isn't the problem. Advertisers and marketers are drowning in information. A full 90% of all the world's data in existence was created in the last couple years. That's why, if you choose an ad intelligence tool, you don't want one that bombards you with as much data as possible. You want one that provides the most relevant, actionable, and profitable data possible. In fact, there are three types of data that your ad intelligence tool must provide. 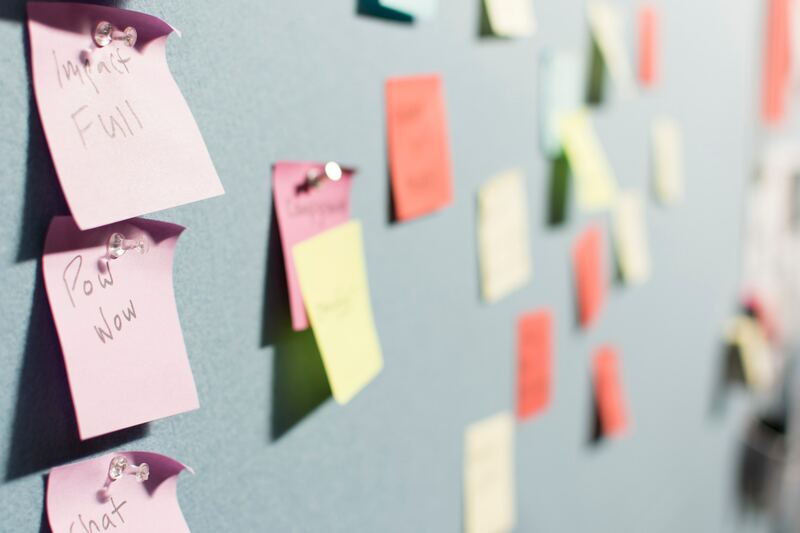 If a prospective solution can't give you these insights, it's time to look elsewhere. 1. How your industry advertises. Seeing data on individual brands and competitors is great. But you also need industry context to knock your next ad campaign out of the park. That means being able to see information on all the brands in your industry. This includes how they spend, where they spend, and how many impressions they get. This will help you benchmark your own efforts against those of your competitors. You can see exactly how they approach new custom acquisition and retention. Let's take a real world example. If you're in the auto industry, you can see that Chevy, Ford, and Toyota spent the most in the last month. They, and others in the industry, spent the most money on sites like YouTube.com, ESPN, and CarGurus.com. You can also see when industry players are all doing the same thing. For example, it seems like most spending in the auto industry happens on a handful of sites. Brands with this insight might be able to run more cost-effective campaigns on less competitive sites. Either way, you won't know if you don't have industry-specific data. 2. Where top brands advertise. You'll also want to be sure you have data on individual sites where brands advertise. You should be able to see where each brand in your space or outside of it runs creative. It's also handy to see how many impressions they're getting for this spend. Let's continue with the auto industry example. 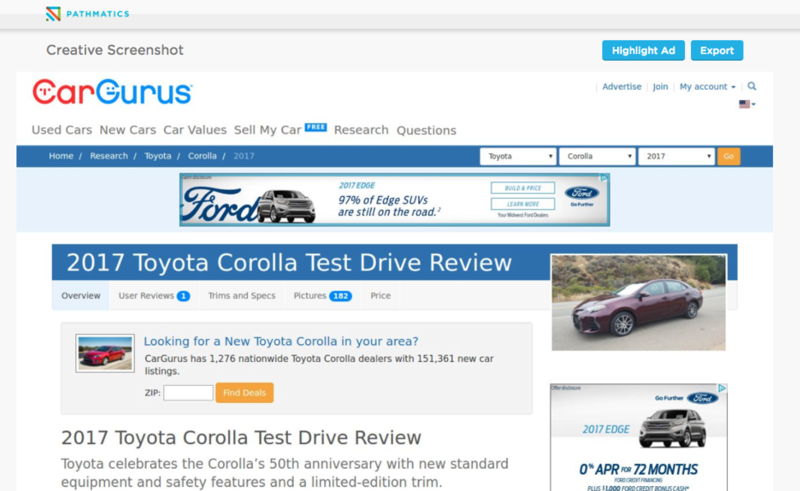 We can see that CarGurus.com and Cars.com are popular sites where top industry players advertise. If our brand doesn't advertise on these sites, they may be worth a look. We can also identify sites where brands aren't advertising, then run creative there. On top of all this, we can see how many impressions each site delivers on average. Using that information, we can determine if each site will pay off. 3. Where and how ads are being served. A major blindspot for brands is the opacity of the ad buying process itself. Once you place an order, it’s hard to tell who’s actually filling it and where it ends up. In fact, the industry has a major transparency problem. Ads end up next to offensive content. Inefficient placements and middlemen eat up ad budgets. Lack of transparency and inefficiency cause a ton of headaches and cost a ton of money. If your brand appears next to toxic content, your brand suffers (and could face PR backlash). If your ads aren't served efficiently, you probably pay too much to serve them. In both cases, a heavy dose of ad transparency into the ad path and ad destination helps. Let's return to our auto industry example. 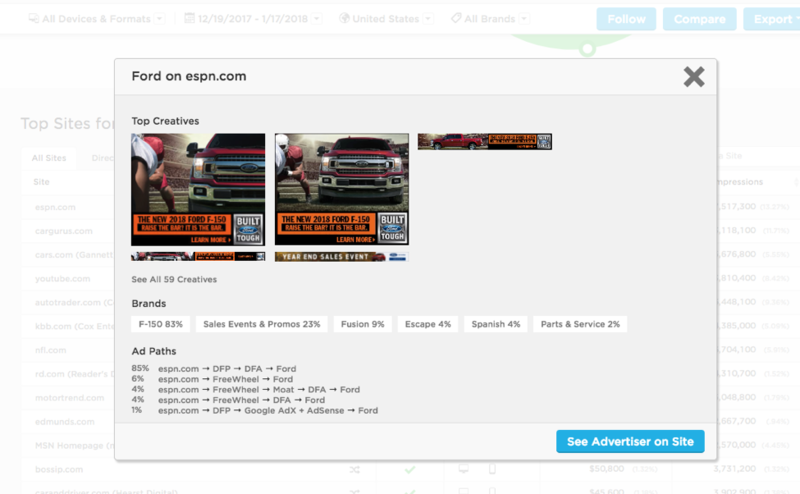 Looking at Ford, the brand spent almost $4 million on ads in the last month. We can see exactly which sites its ads appeared on. If there are any problematic sites, we can identify them at a glance. We can also see exactly how creatives appeared on sites. That helps us ensure ads don't run next to offensive content. 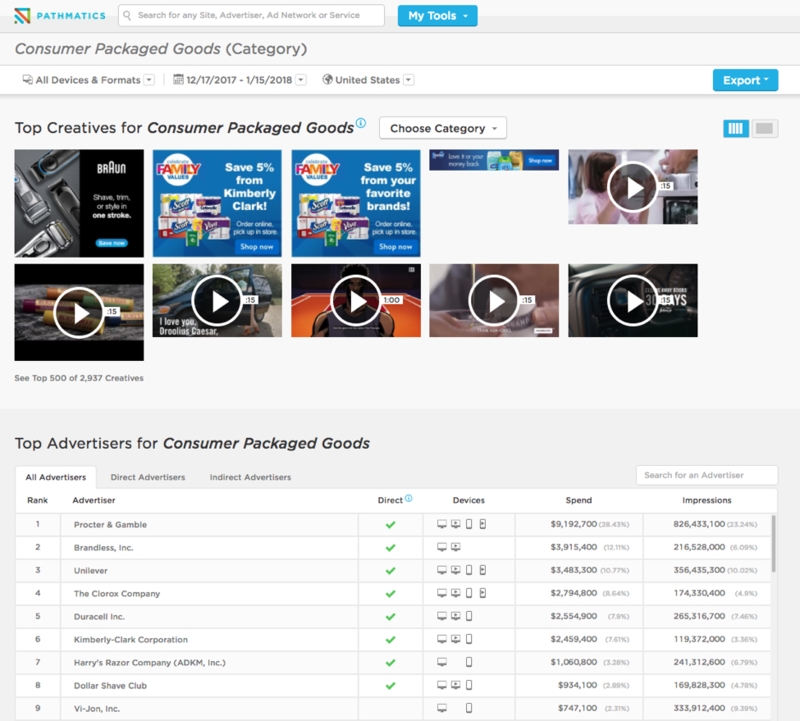 Additionally, we can click on individual sites and see the ad paths for creatives served on that site. This could help us determine where middlemen are eating up our ad budget. Or, it could give us leverage to negotiate better rates with ad networks. In short, this type of visibility translates into real dollars and cents. Want to See Real Examples of Legit Ad Intelligence in Action?